HMH Books for Young Readers, 9780152026967, 304pp. Born the runt of his litter and gambled away to a rusty old river man, the Newfoundland pup Seaman doesn’t imagine his life will be marked by any kind of glory. 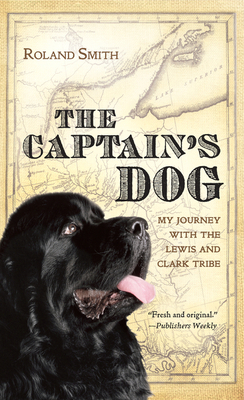 But when he meets Captain Meriwether Lewis, Seaman finds himself on a path that will make history. Lewis is setting off on his landmark search for the Northwest Passage, and he takes Seaman along. Sharing the curiosity and spirit of his new master, the intrepid dog proves himself a valuable companion at every turn. Part history, part science—and all adventure—this is the thrilling tale of America’s greatest journey of discovery. Includes an author’s note and a reader’s guide.